Sweaty, muscled guys pumping iron at the gym on the ground floor greeted us as we got off the cab. We were quite confused, isn’t this supposed to be a hostel? An elevator graffiti exclaiming that there are no strangers at Pink Hostel confirmed that we were indeed at the right place. We squeezed our boozed-up selves (we started drinking quite early, like before sunset) on a tight elevator more fitting for old seedy malls in Cubao, punched number 5 and opened up to a floor resounding with clinks of beer bottles, laughter and travel stories. 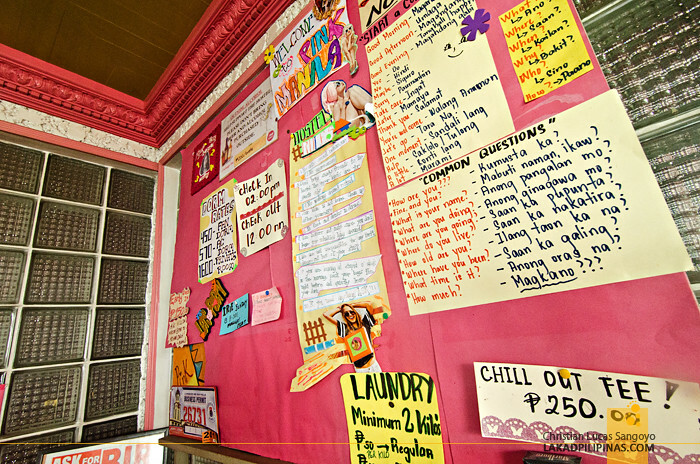 Welcome to Pink Hostel Manila, my friends. From our weekend staycation at Hotel H2O, not wanting to go home just yet, we searched high and low across the interweb for a place to extend our weekend ramblings. Since we were in the Manila area, Malate was our intended target. 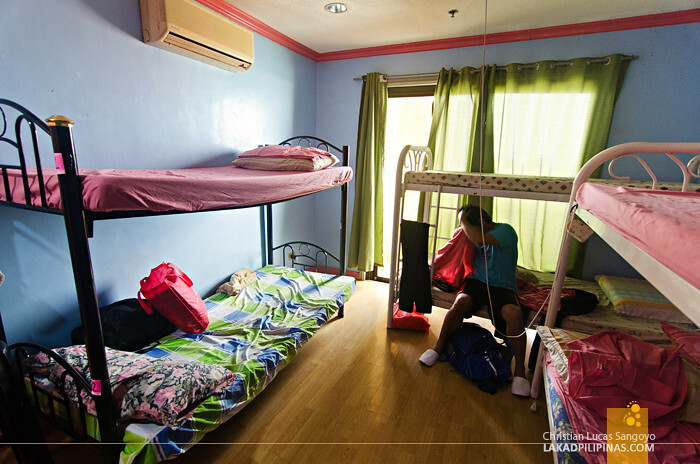 With most places too expensive for us and the affordable ones already fully booked, we ended up at Pink Manila Hostel. It’s still in Malate but is situated on the Vito Cruz area, quite a long ways away from Silya, our watering hole of choice. Staying at hostels isn’t that foreign from me. I’ve stayed at a few while backpacking across South East Asia plus some more back home; from the fancy Z Hostel and Junction Hostels in Makati to the more legit ones like Red Carabao Hostel in Sta. Cruz, Manila. I know what to expect of such places and I definitely know what not to expect. 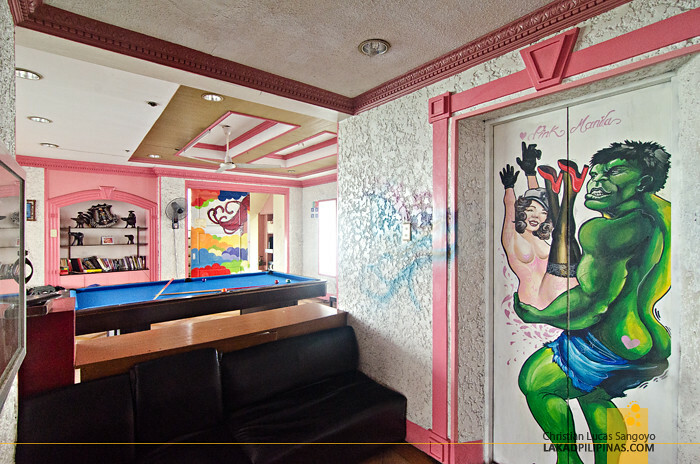 Still, I was keeping my hopes up after reading a few reviews of Pink Hostel. It looked quite snazzy and it even has a rooftop swimming pool. So off we went, pooling our money for a cab to take us to the hostel. I guess most cab drivers aren’t that familiar with Pink though, since it took us a bit of running and asking around before we found the place. 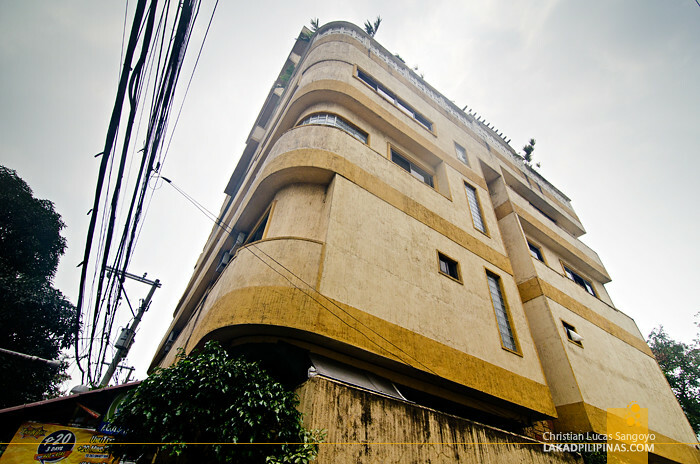 The hostel is located on the upper floors of an unmarked former residential building on the side streets of Vito Cruz (the view is absolutely stunning at night). 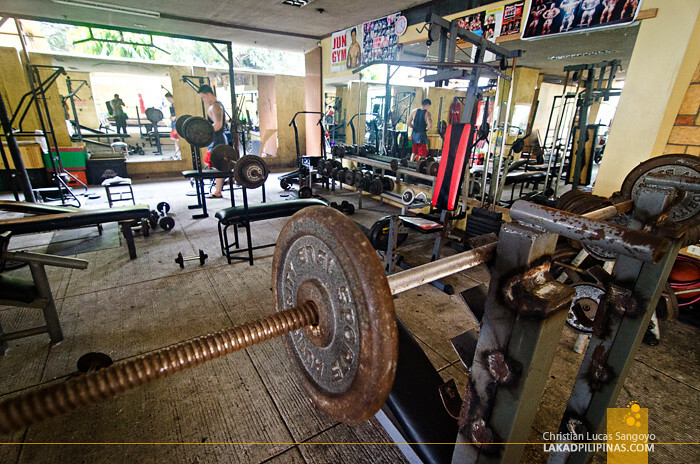 It’s about five-minute walk away from the LRT station. TYPICAL HOSTEL BULLETIN BOARD, EXCEPT IT IS IN PINK! 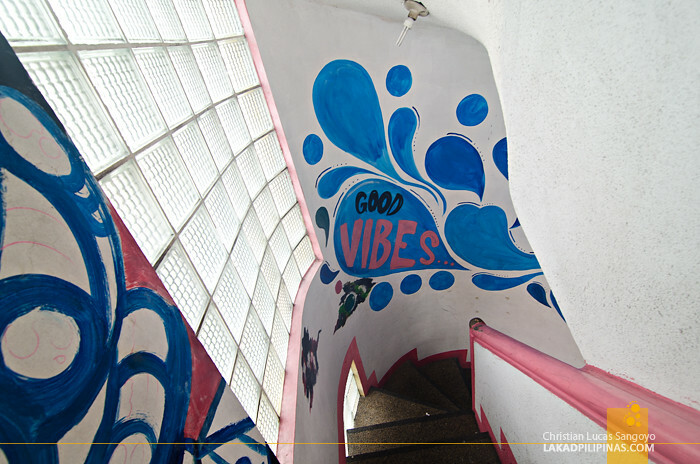 It has all the usual trappings of a hostel, colorful graffiti, a bulletin board tacked with common Filipino phrases, a lounge area where most of the backpackers are, a pool table, free Wi-Fi, a full kitchen where you can actually cook and most importantly, a fridge full of cheap alcohol. 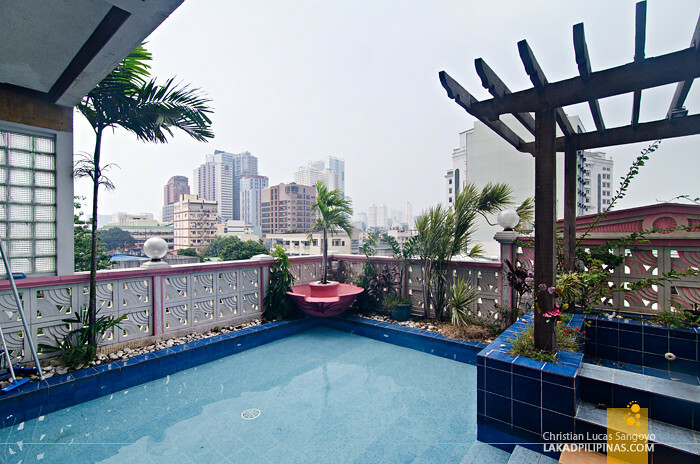 What separates it from most hostels I’ve been to though is that it has its own rooftop pool. And it sits right beside the lounge area. Tell your travel tales, drink your beer, dive on the pool. That’s how it usually goes down here at Pink Manila Hostel. Or maybe, you can do all these while in the pool, why not? 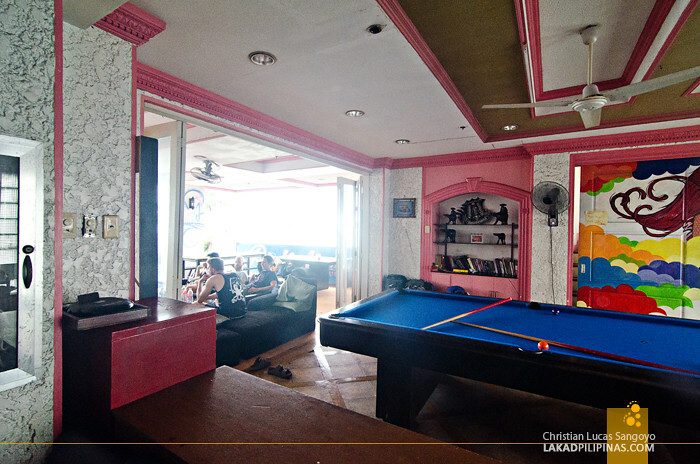 The hostel can accommodate quite a few backpackers. 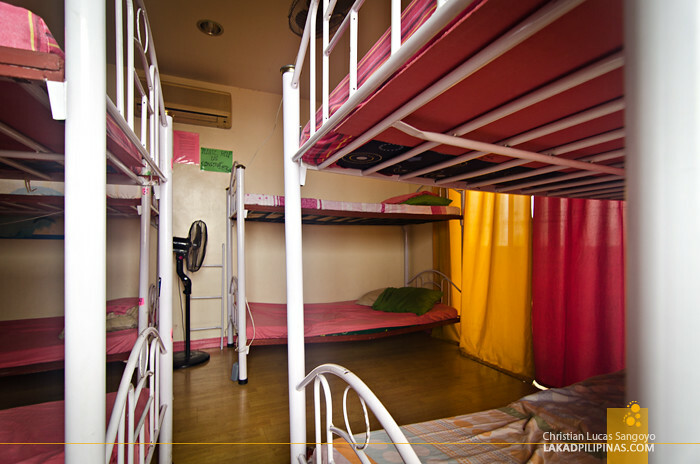 They have four dorm rooms for maximum socialization and a twin room for the shy types. 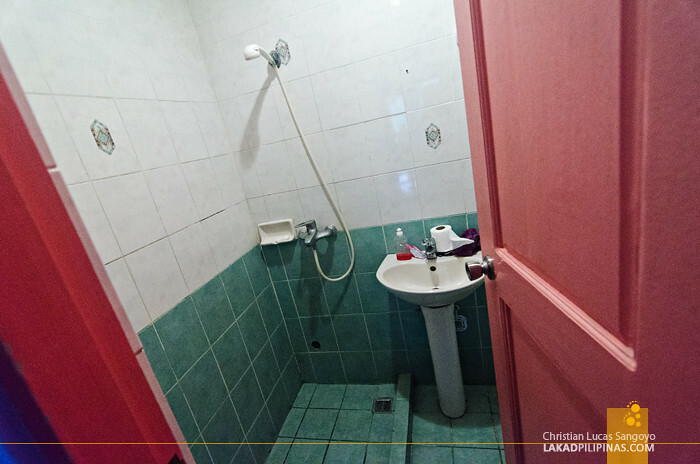 Rates are, of course, very backpacker friendly; it starts at Php450.00 for their fan rooms and goes up only by a bit for the air-conditioned ones [CHECK FULL RATES AND AVAILABILITY]. With that, please do not expect hotel-types amenities. We were booked on their penthouse dorm room fitted with double-deckers and air-conditioning. It was quite clean, has huge lockers (bring your own locks), power sockets and has its own toilet and bath. It is as basic as it can get. 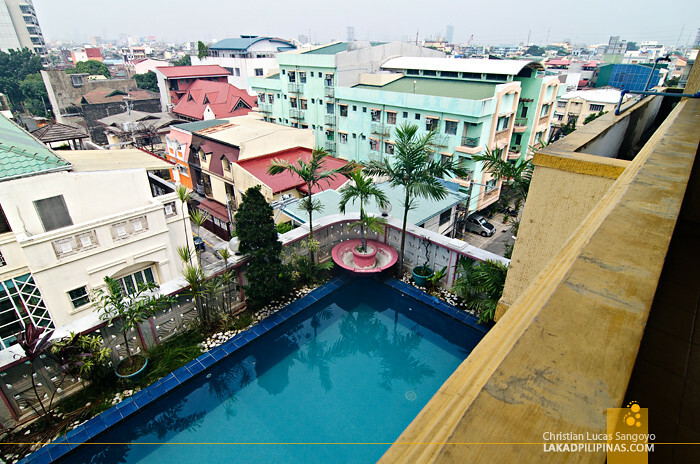 A stay avails you of free breakfast too, which is set from 7:00 AM to 10:00 AM. We woke up quite late though, so we really didn’t know what their offerings were. They also serve food, pegged at around Php150.00 per meal, but we wanted something more affordable. Good thing there are a lot of cheap (and not so cheap) eateries around the area, so no problem on that one. 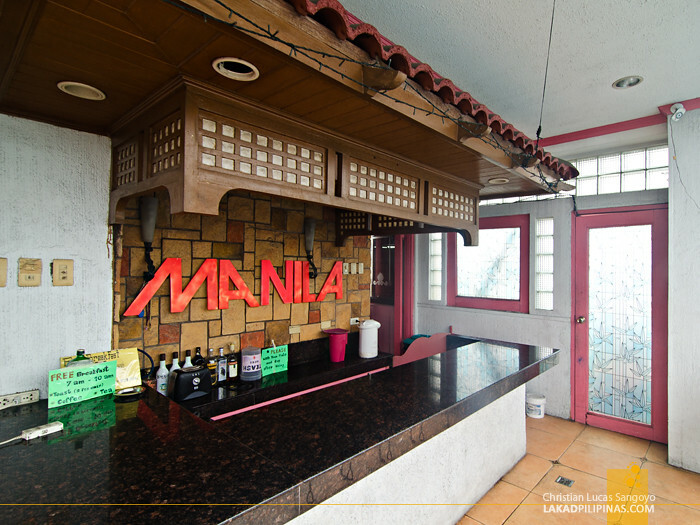 Like most hostels, Pink Manila’s strong point is really not its rooms or even its pool (although it comes quite close), but the vibe it exudes. Mingling with backpackers from around the globe, trading stories and opinions while downing bottle after bottle of beer is really its strong suit. Staying here felt like being on the road outside the Philippines again, it definitely brought back memories of backpacking across South East Asia and all the good vibes it entailed for me, well, except we’re right in the comforts of Manila.